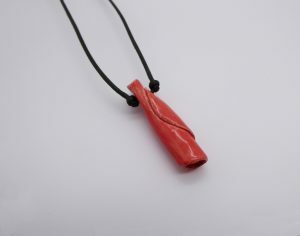 This is a ceramic spell scroll pendant, it is glazed coral, and it is 4cm long. The happy thought written inside before being fired was: that you always have a steady heart. 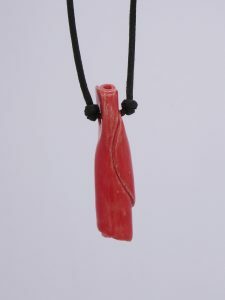 If you would like to bid on this item, please enter your bid amount in a comment below. For all of the auction details, please see the main page. Congratulations Frida! I will be in touch tomorrow to organise payment for this item and to arrange the shipping.